Me with fellow panelist Megan Miranda and moderator John Claude Bemis. 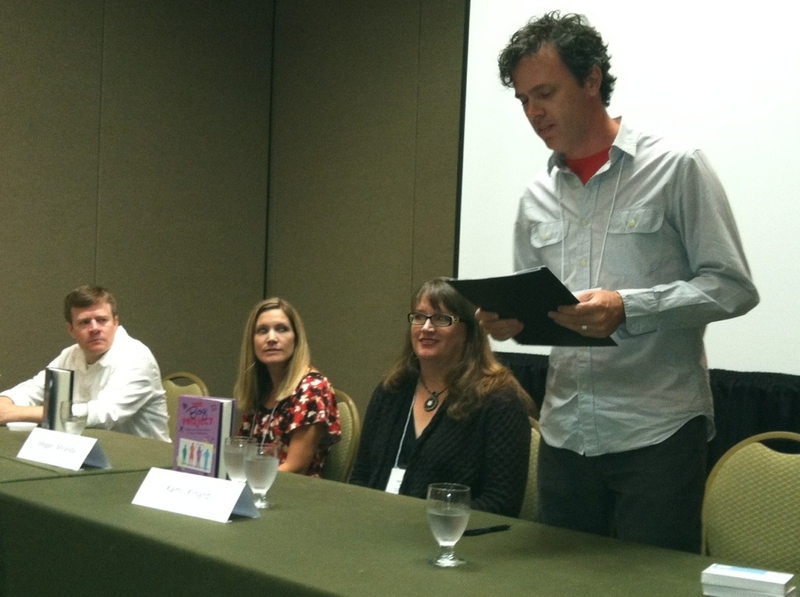 MG author Stephen Messer was also on the panel. This time last week I was in Charlotte NC at the SCBWI Carolinas conference. It was an honor to be included on the faculty this year. During the conference I critiqued manuscripts, participated in author panels, and attended some inspiring speeches and workshops! So… can I boil down all that happened in an info-packed weekend into one blog post? No way. But being around so many authors and so many enthusiastic writers who long to see their books on shelves has made me think about this question: What is the MOST IMPORTANT thing an aspiring author can learn? The answers to this question may vary, depending on who you ask, but here is my answer. Writers must know the difference between theme and hook. The theme of a book tells us what it is about. This Wikipedia definition is accurate: a theme is the central topic, subject, or concept the author is trying to convey. When I ask aspiring authors to tell me the HOOK of their book, they often describe the theme instead. But the hook is different from the theme. It is the part of your book that pulls the reader in, but it is also the part that NO ONE ELSE has ever thought of before. It’s true that no two characters, no two settings, no two plots are ever exactly alike. But slight differences between characters, settings, and plots are not enough to set a manuscript apart. For a manuscript to stand out, it must present a truly original idea. One that will make editors and agents wonder how you thought of it in the first place! When I looked over my conference notes, I saw that some of our most esteemed speakers echoed the importance of presenting editors and agents with truly unique work. Our words alone do not set us apart as writers. But those unique ideas, the HOOKS, will set us apart instantly. Think about your manuscript. How can you make it completely different from anything else out there? Once you latch on to that idea, you are one step closer to publication! Theme: A girl who discovers the truth about her world, and her quest to find her mother, and safety. 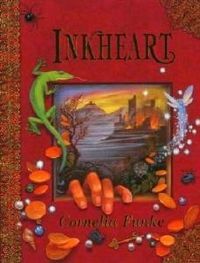 Hook: A girl who discovers that her father can read characters out of books, and her quest to find her lost mother, who disappeared into a book, and safety. This entry was posted in About Writing, On Writing, This Nerdy Chick and tagged hook and theme, Hook in literature, manuscript hooks, scbwi carolinas conference, writing, writing a hook. What a terrific post for all writers-worthy of framing to perch over my desk while I create, work, and write! I was just chatting with an online writing buddy about this very thing. I’ve forwarded your very helpful post! Good post. Thanks for summing this up so well! Very helpful post. Glad to learn more about the conference. Keeping these distinctions clear in our minds will help ALL writers. Thanks Kell and Cathy. I’m glad my explanation worked!